For Eric Larson photography is a passion. 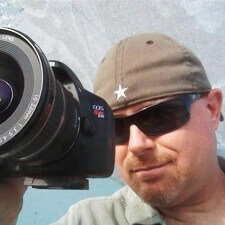 Eric has been accepted as a Google Business View “Trusted Independent Photographer” enabling him to add interactive 360-degree virtual tours to his list of services he is able to offer as a professional business photographer. As a former Naval Officer, information technology consultant and amateur astronomer, Eric brings a unique perspective that informs his creative process. His current work focuses on running a client-friendly, service-oriented photography business, portraying local businesses in their best light. Eric believes that great creativity is often the result of a team effort and values working closely with his clients. While not speaking about himself in the third person, Eric likes to photograph natural landscapes specializing in low-light, sunset golden-hour/blue-hour, and wide-angle night photography and astrophotography, often combining panographic photographic techniques with long-exposure photography.